So this was England's homecoming after the nightmare in the southern hemisphere. This was Pakistan in May, a time when we are traditionally strong. This was green pitches and time for Jimmy to show what he can do on pitches that do a little. 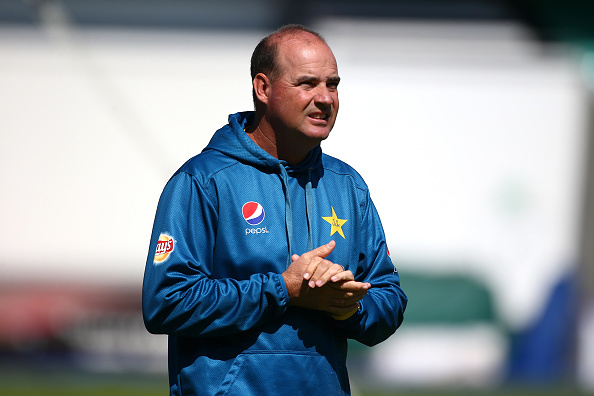 It was a time for Trevor Baseless to show that England aren't the shambles that they were Down Under against a young, inexperienced Pakistan side. What we got served up was the same old crap that we have had for two years. Actually, no...we're getting worse. This was the review of the Lord's Test. This was Ed Smith's brave new world. This Smith would surely make sure that England fans weren't miserable now, heaven knows. Surely this was a time to promote some youth? Gubbins, on his home ground perhaps? 20 year old Ollie Pope, scorer of two tons for Surrey this year? We got Jos Buttler as a wild card selection at 7 instead. The selection policy was Still Ill. At least they gave Dominic Bess a go from Somerset. England won the toss and batted, despite cloud and rain. Abbas and Amir bowled superbly, leaving the gifts for the England skipper who donated his wicket like Lenny Henry in his younger years...chasing a wide one. Cook ground it out and batted well against the seaming ball but England were outclassed by Pakistan. Bairstow looked good for a while but Buttler's downfall was typical of a white ball player. In his T20 role he'd have got a boundary for flashing through the slips but was instead caught by a sharp chance. Pakistan were disciplined, well skippered and looked like a side who had acclimatised to conditions having been here for four weeks. England take note for future tours anywhere in the world. When England were skittled for under 200 I expected us to have their inexperienced top order struggling themselves. Unfortunately Broad or Anderson didn't make them play enough. A sixth stump line is fine for containing. For Tests it is not required. The Smiths...What Difference Does it Make? Pakistan batted well. England tried to bash them up but apart from Stokes making someone go to hospital without being charged by Avon and Somerset police, Pakistan got to a sizeable lead. Cook's catching was Karius-esque. England batted and Stoneman struggled. Watching the leg spinner Shadab Khan toy with him was painful to watch and read him about as well as Joey Essex reads Dostoyevsky. The cat soon put the mouse out of his misery having toyed with his prey. Malan got hit on the hand and on the head and had to battle so hard for 12. The slippery Hassan Ali looked lively and complimented the two classy opening bowlers. Bairstow got a good nut up the slope from Amir, although left a gap and when Root was lbw for a hard fought 68, the writing was on the wall. Would this Test be over by 5pm on the third day? Well thanks to a bit of fight shown by the Somerset lads of Buttler and Bess it wasn't, but the death knell happened pretty quickly on Sunday. Pakistan wrapped it up by nine wickets. Deservedly so. Take nothing away from Pakistan, they were excellent. Mohammad Amir is one of the best in the world, if not THE best on this form. He is up there with Starc anyway. Abbas bowled beautifully and hardly bowled a bad ball. Their fielding was excellent, as a Mickey Arthur side generally is and they batted with heart. England had their pants pulled down big time in yet another Test. Ireland gave Pakistan a better game. Amir...the best in the world? England were awful. English cricket is in a shocking place at present because the administrators cannot see what works. We have the County Championship at the start and end of the summer meaning that all we are doing is to encourage a 70mph dobber on a green top. No wonder we are not producing quicks. Or spinners who bowl with flight and men around the bat instead of one day darts. Or batsmen who can bat for two days on good pitches. The apple tree has not been watered so we have to now eat lemons. We have a system where our internationals are sent to the IPL instead of preparing for a Test match. We have the world scared to slag off the IPL or people championing its cause because they are being flown out there and wined and dined. We have commentators as agents of the players so are not going to give them the kick up the arse that they deserve. We have a system where our best players don't play four day cricket very much and therefore we will go backwards as a Test nation. We have ECB members who the country are laughing at every time they say something about this 100 ball game. The same people employ a coach who has taken us backwards, resigns and then is on a two year notice period. We have counties getting paid for not hosting Tests. We have ECB board members who have done an excellent job at county level who feel they have to resign from taking their country forward. We have the ECB trying to censor a journalist for saying it how most of the public think or pundits who have other links to the game who are terrified of losing accreditation. 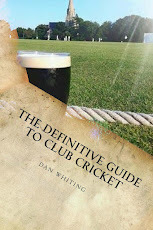 We have put so much emphasis on one day cricket that it has been to the detriment of our main game. Players come in who don't move their feet and nick off all the time because they get away with it in one day cricket. This lot have put no value on their wickets. How many times have we put on a serious score in recent years. As soon as a wicket seams a little or there is movement, the one day player struggles as he just hits through the line. We play One Day stuff in mid summer and have a specialist one day coach because that's where the money is. After paying £75 a ticket on Day One, I'm fuming. Not just at this performance but the state of English cricket in general. This is years of mismanagement. I look about as happy as Posh Spice turning up for a Royal Wedding. Still, at least the ground was full and the bars busy at £5.30 a pint. That's what really matters hey? 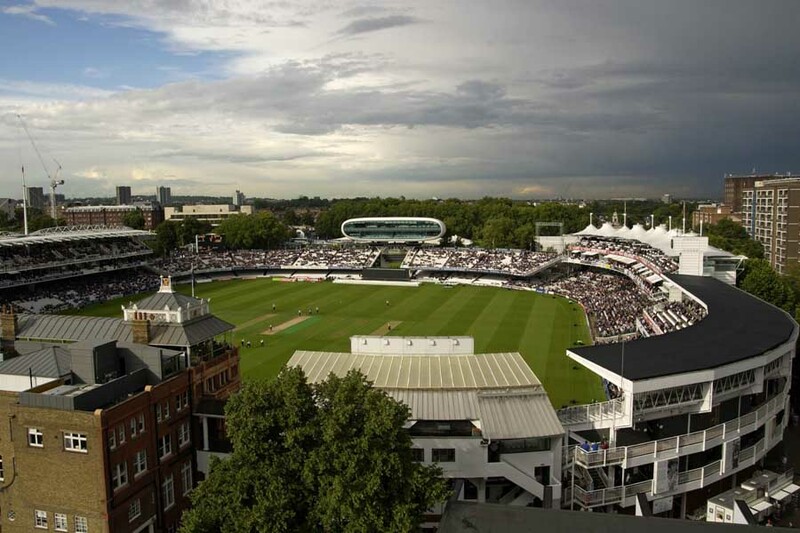 Lord's? This was more peasants. Eh, I don't think it's fair to criticise Smith's selection of Buttler. Literally in the second innings he and Bess (Smith's other pick) were the best players in the side. All details in the article you described well. I like this topic.